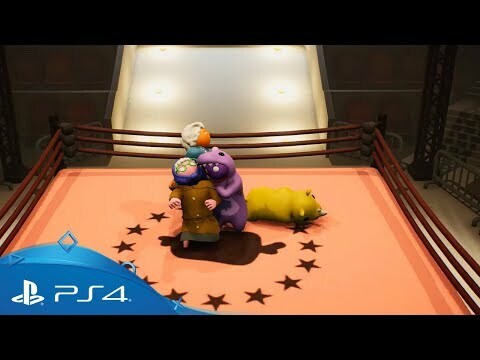 Prepare for the ultimate royal rumble as you go head to head with friends in the Gang Beasts arena. Have a beef to settle with some mates? Then Gang Beasts will satisfy your hunger for revenge with wild battles, gelatinous characters and lethal environments. Unleash your fury in the fictional metropolis of Beef City as your wobbly warrior kicks, throws, pushes, pulls and pummels up to seven other rivals for gummy glory. Fancy throwing your mates into flaming incinerator pits? Or pushing them into the path of a speeding train? Whether you’re duking it out on a Ferris wheel or shoving your pals off a massive truck, merry mayhem and mirth are the order of the day. Buy Gang Beasts on PS4. Looking for great multiplayer games? Fuse futuristic visuals and the latest hit songs with thumping multiplayer rhythm-action gameplay in Invector on PlayStation 4.